When people are still young, being alone and independent is often a welcomed situation. But, as they grow older, doing so can compromise their health and safety. Many older adults find themselves needing the services of a Home Care Agency in California for assistance with daily tasks and even for companionship. 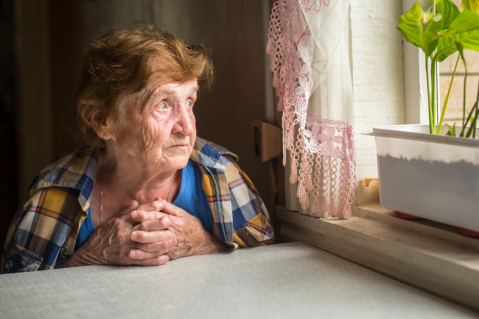 Social isolation can be detrimental to the overall well-being of an older adult. There are a variety of reasons why aging individuals experience social isolation. For some older adults, the transition from the jobs they have worked on for years to a retirement life can be the reason. With the lack of income-generating source, they may be forced to live on a tight budget. As a result, they spend less time going out. Still, other senior individuals may already be feeling the negative side of the physical and emotional changes due to old age. They might already be too tired to go out or too tired to even prepare for social events. Their health conditions may cause limited mobility, thereby emphasizing the need for a home health aide by their side. A number of other reasons exist. Whatever reason your senior loved ones may have, social isolation will definitely take a toll on their overall wellness. Keeping your aging loved ones engaged is one of the keys to preventing social isolation. Sunshine Home Health Aide Org., Inc. offers a few suggestions on how you can get them to participate in various social activities. Do your loved ones want to learn certain things in the past? This may be the time for them to get started since they have a lot of time for themselves. There are lots of community clubs that provide fun and enjoyable classes, as well as activities that will surely stimulate not only the emotional and social aspects of older individuals but also their physical and mental ones as well. Senior people possess the experience and knowledge that are useful to younger generations. Through volunteering with various groups, your loved ones will have something valuable to share as mentors. Current technology has offered people a lot of opportunities and platforms to stay connected to others even when they are far away. Your aging family members can make use of this technology to communicate with you and interact with other individuals. As a home care company in La Mesa, California, we are dedicated to ensuring the overall wellness of your senior loved ones. Take advantage of our care services by calling us today!